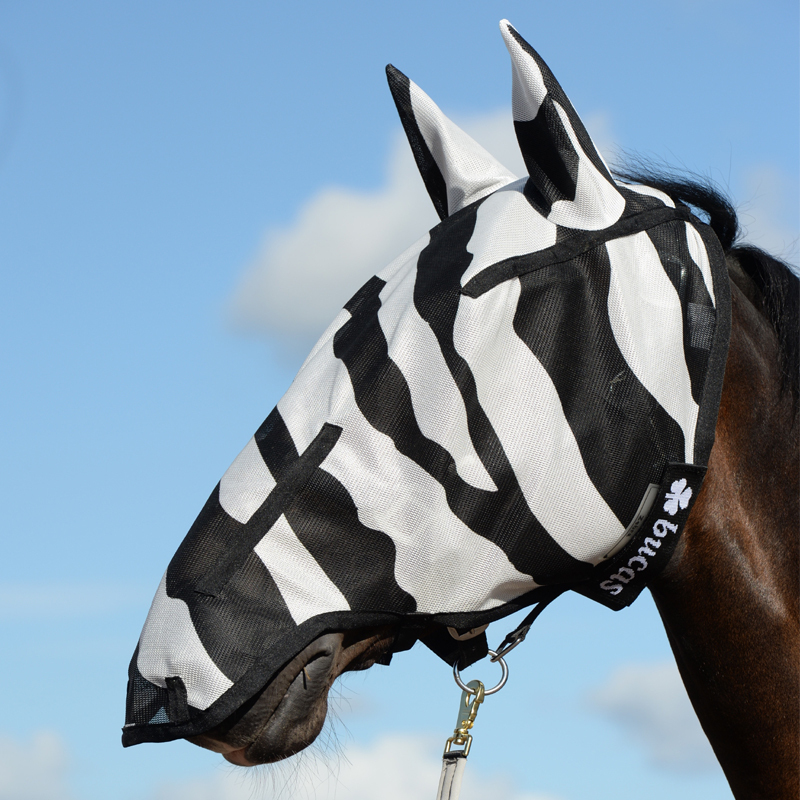 The full face zebra fly mask provides excellent protection for your horse from flies. With extra coverage behind the ears and snug fitting under the chin, it can be used comfortably over a head collar. This mask is designed to be used in combination with the Buzz-Off rug range, as it can attach to the elastic brow band.